The Historic Preservation Commission consists of nine members appointed by the county executive with the confirmation of the county council. Each member is a resident of the county. The four fields of history, architecture, preservation and urban design shall be represented by a minimum of one member qualified by special interest, knowledge or training. The remaining members of the Commission shall, to the extent possible, be selected to represent the geographical, social, economic and cultural concerns of the residents of Montgomery County. William Kirwan was appointed to the Commission in 2009 and serves as the Chairman. 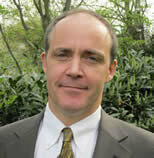 A Silver Spring resident, Mr. Kirwan is a registered architect and Principal with Muse Architects in Bethesda. Since receiving his Masters of Architecture from the University of Maryland in 1987, he has taught at the University of Maryland School of Architecture Preservation and Planning, served as a routine guest critic for design juries at the University of Maryland and Catholic University, and served as a member of the Washington Chapter of The American Institute of Architects Board of Directors as Director of Design Issues. 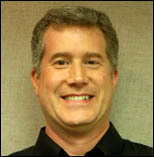 In 2007, Mr. Kirwan became a LEED accredited professional. Sandra Heiler, a Brookeville resident, was appointed to the Commission in 2009 and serves as the Vice Chair. From 2000 to 2006, Ms. Heiler worked as a historic properties researcher for the Massachusetts Trustees of Reservations and the Curator of the Robert Paine House Museum in Ipswich, Mass., where she directed dendrochronology project to date the 17th century house. During that time she was also a member of the Sudbury, Mass., Historic Districts Commission. She is a member of the Board of Directors of Preservation Maryland and of the Board of Montgomery Preservation, Inc. Ms. Heiler also serves as a Consulting Party to the Maryland State Highway Administration on the impact of the planned Brookeville Bypass on historic resources. She has a BA in Mathematics and a Masters degree in Architectural History and Historic Preservation from Boston University. After a 38-year career in Computer Science, she retired from Verizon Laboratories as Principal Scientist and Director of the Information Technology Lab. 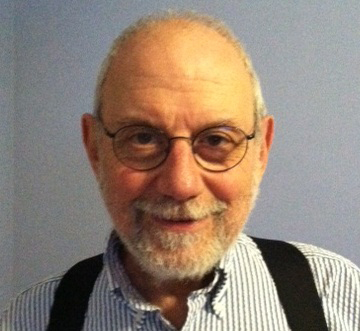 Richard L. Arkin joined the Historic Preservation Commission in 2014. Born in Washington, D.C. (and a fourth-generation Washingtonian), Mr. Arkin earned his BA in history and law degree from the American University, and did graduate work in history at the University of Virginia and the University of Michigan. Mr. Arkin moved to Montgomery County in 1971 and served for several years as member and chair of Rockville’s City Planning Commission and the Board of Appeals. He began working in historic preservation in 1963 and served for 16 years on Gaithersburg’s Historic Preservation Advisory Committee and three years on its Historic District Commission. Mr. Arkin is a resident and former long-time president and trustee of Gaithersburg’s neotraditional/new urbanist Kentlands community. A former journalist and county civil investigator, he recently retired from a more than 30 year career as a US Food & Drug Administration regulatory counsel. Marsha E. Barnes, a Bethesda resident, was appointed to the Commission in 2013. Ms. Barned has a lifelong interest in history and historic preservation. She was a member of the career Foreign Service for more than thirty years, serving in Washington and abroad, including as an Ambassador. 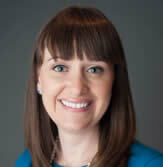 Ms. Barnes has a BA in history from Lake Forest College and is a distinguished graduate of the National War College. Brian Carroll was appointed to the Historic Preservation Commission in 2013. Mr. Carroll is a registered architect and LEED accredited professional and currently a Historic Asset Manager with MNCPPC in Prince Georges County. Mr. Carroll is a graduate of Bates College in Lewiston Maine, holds Architecture and Planning degrees from the University of Maryland, and a diploma in Preservation Carpentry from Boston’s North Bennet Street School. Kenneth Firestone was appointed to the Commission in 2013 . Mr. Firestone has lived in Montgomery County for more than 30 years, including ten years in Silver Spring as a teenager. He currently resides in the Takoma Park Historic District. He received a BS in Economics from University of Maryland, an MS in Computer Science from Johns Hopkins. More recently, Mr. Firestone followed his interest in Urban Planning and received a Master’s degree in Community and Regional Planning also from University of Maryland. He worked as a photojournalist for various publications and as a computer technologist for the Department of Labor, Chronicle of Higher Education and the Public Broadcasting Service. Kathleen Legg was appointed to the Commission in 2014. 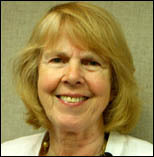 Ms. Legg is a resident of the Town of Chevy Chase, where she is a member of the Long-Range Planning Committee. She has a life-long interest in architecture and historic preservation. Ms. Legg was previously an information technology consultant, specializing in mobile technologies, social media and politics, for organizations such as Yahoo!, National Geographic, Hachette, and Organizing for America. She is also a member of the Preservation Society of Newport County in Rhode Island. Ms. Legg has a BA in political science and information technology from the University at Albany and a Masters in Political Management from The George Washington University. Robert K. Sutton retired as Chief Historian of the National Park Service in 2016, after having served in the position for nearly nine years. He came to this position following his tenure as the Superintendent of Manassas National Battlefield Park for the previous 12 ½ years. From 1986 to 1990, he directed the Historic Preservation and Historical Administration public history programs at Arizona State University. 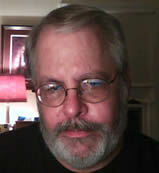 He has published a number of books, articles and reviews on various public history topics. One of his primary interests as Chief Historian and as Superintendent at Manassas Battlefield was leading the emphasis on expanding the interpretation of the Civil War for the Sesquicentennial. As part of that effort, he encouraged Civil War battlefields to expand their interpretive programs to focus more attention to the social, economic, and political issues during the Civil War Era. Dr. Sutton is currently serving as a consultant to the American Battle Monuments Commission, assisting commission staff in developing interpretive programs to commemorate the Centennial of World War I. In that program, he is editing a collection of essays by leading World War I historians that will be available in April 2017.